Throughout the year we host a variety of events at our vineyard tasting room. From wine dinners featuring chefs from Kansas City's best restaurants to solar eclipse parties and grape harvesting, we have a little something for everyone. Enjoy a coursed dinner with wine pairings, prepared by some of Kansas City's best chefs. Join us for a morning of grape picking complete with lunch and a wine tasting. Learn about our vinicultural project, wine 101, and food pairing. 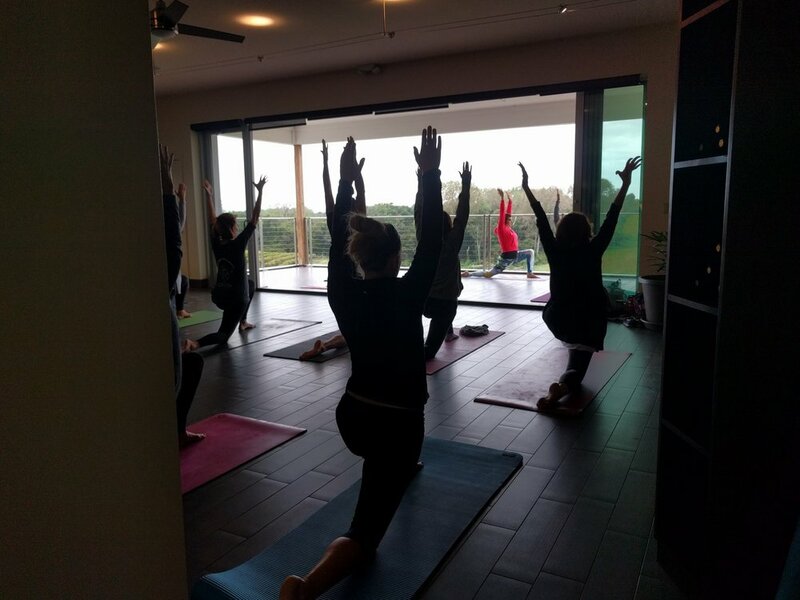 Join us for yoga at the vineyard, pizza making classes, and more. Create your own special occassion. View our events as a list. Can't Wait to see us?